To many homeowners, home insurance is just another bill to pay. But when disasters happen, this extra layer of protection can serve as your lifeboat—and simultaneously, your worst nightmare. That’s because each home insurance claim, while offering financial relief in the short term, can increase the amount you pay for your premium—sometimes dramatically. So what’s a budget-conscious homeowner to do? First, you should know the most common home insurance claims—and how to avoid having to file one in the first place. To be clear, we’re not saying you shouldn’t file a home insurance claim when you’ve suffered loss or damage—that’s what insurance is for, and you’re paying for it. But certain types of damage can be prevented or minimized, and it’s in your financial best interest to take the proactive route. So make sure you understand how your insurance works—and how to prepare for the inevitable—because you could save yourself some major bucks. Ask 10 home insurance agents about their most-encountered claims, and all of them will list weather near the top: Tornadoes cause tremendous structural damage. 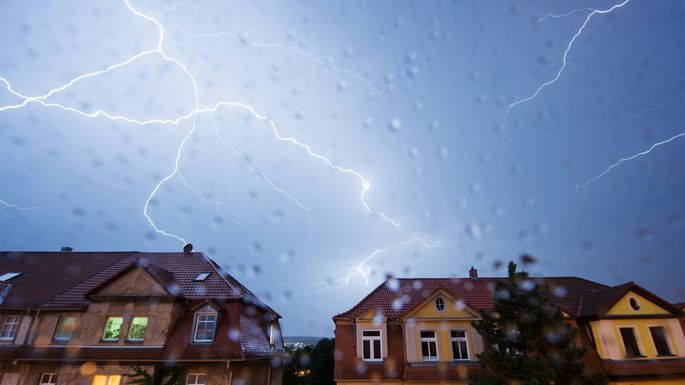 Lightning can fry your electronics—or set your house on fire. And hail? Insurance agents hate hail. For good reason: A single hailstorm might force your insurance to pay for a new roof, siding, windows, and more. How to prevent it: Properly maintaining your roof and siding won’t prevent a hailstorm, but it can lessen the damage when one happens—and thus decrease the insurance payout. Water damage is another common insurance claim—and most of the destruction isn’t caused by rain. How to prevent it: You’ll need to do a little regular upkeep. Are there any leaky faucets or curious puddles on the floor? Check them out, and fix any associated problems. Immediately. “Sometimes, everything is done properly during installation, but the homeowner neglects routine maintenance such as inspecting and repairing grout and caulk, removing clumps of hair from a shower drain, or checking and replacing water supply lines for appliances,” says Scott Congiusti, the assistant vice president of claims for HUB International. But plumbing problems plague perfectly maintained homes, too. In terms of stress and expense, a house fire is, perhaps unsurprisingly, one of the worst home insurance claims. Unlike hail or wind damage, it’s not simply a matter of replacing roof or siding. Often it means moving out, living temporarily in a rental, and rebuilding a room—or even the whole house. How to prevent it: To avoid a house fire (and the associated damage), have your chimney inspected and regularly cleaned, and be alert for any fire risks around the home, such as space heaters or overloaded extension cords. It’s easy to forget about these hoses tucked behind your washing machine, but poor maintenance could lead to an expensive insurance claim—especially if your washer and dryer aren’t located in a basement. This dramatic failure could lead to what Buckel calls “significant claims”: up to six-figure losses. How to prevent it: Regularly check and replace your hoses (at least every five years) to keep your washer from flooding the house. While your home insurance should cover any home-related water damage from plumbing leaks, flooding caused by external forces —like an overflowing river—is typically not included in your regular home insurance plan. “It’s a nationwide problem,” Buckel says. Indeed: In 2016, only 12% of American homeowners had flood insurance. How to prevent it: If there are any major bodies of water nearby—even if your home doesn’t technically fall in a flood zone (check here)—consider speaking with an agent. It’s better to be covered in case of disaster than to lose everything. You might not spend a lot of time thinking about your service lines—those large, in-ground pipes that swoop away your sewage and supply must-haves like water and gas—but if one breaks, you won’t be able to think of anything else. And these guys are surprisingly fragile: All you need is one rogue tree root breaking through the piping to screw up your month. How to prevent it: Get regular sewer scopes to ensure the line stays clean, and pay attention to any water seepage in your yard that could indicate a problem with your water lines. Talk to your insurance agent to make sure you’re covered in case your lines go haywire. Otherwise, you could be in for a huge financial surprise. Ever heard the one about someone tripping on a home’s walkway and then suing the owners for all they’re worth? These kinds of claims are surprisingly common, experts say. And while your insurance might cover the cost of the lawsuit, a single personal liability claim can increase your premiums for years. How to prevent it: Sidewalks contribute to a lot of these injury claims—as do trampolines and pools. Pay careful attention whenever your pool or trampoline are in use, and make sure sidewalks are clear and any tripping hazards around the home have been removed. About one in eight homebuyers is buying a second home, according to research from the National Association of Realtors. And summer is a time of year when buyers think about it. Consider: You’ve just had a great summer trip to a relaxing location, and you’re wondering whether you should get yourself a permanent place there. Or you’re emerging from a long, cold winter, and you’re thinking of snagging a condo somewhere warm where you can escape in January. Have you visited more than once? Ideally, you’ll want to spend a solid amount of time in a location before buying property there. “Get to know the area and whether it’s going to offer you a potential boost in the future or if it’s an area that may suffer economically,” says Monica Dwyer, a financial planner in West Chester, OH. “Does it rely on a specific industry or company, and what would happen if there were a slump in the economy? Find a real estate agent that has a lot of local experience that could help you figure this out. 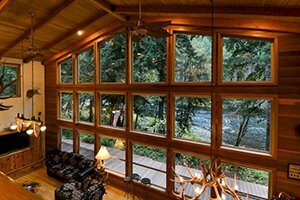 Call or email me for a custom report, 541-915-0807 or nadine@windermere.com.